There are so many wonderful programs that are aimed at keeping kids learning and reading during the summer. With the 2 Lil Divas both officially in elementary school next year (Kindergarten & 1st Grade - can you believe it!) I want to ensure we keep both their bodies and minds active, growing and learning during the summer while we have all of our fun. We have enrolled in a few Summer Reading Programs (both virtual and in real life) that I think will keep the girls motivated and focused on reading. We are already BIG readers in our home but I thought keeping track in a formal way was a great added motivator because the girls can track their progress (much like the reading logs used in school during the year). Of course, I immediately thought of sharing this all with you as well! 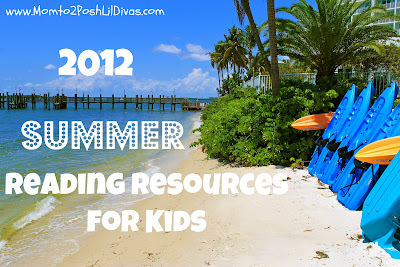 I hope you will find the list useful and can use some of the information with your own children this summer. Let's keep reading alive and prevent the downward summer slide! 1. We are participating with some fabulous blogs to bring you the Summer Virtual Book Club this summer. I am so excited to be part of such a fabulous program! It's super simple to join in. Just pick a book from the month's selected author, read it with your child(ren) and do an activity! Then come back and share what you did with us. 2. Join us for Memetale's Readathon2012 and #ReadforGood! To participate you must sign-up (easy peasy!) but you get to read the books on many different platforms/formats and each week has a fun new theme. You will have access to newsletters with great activities and many of bloggers will be reading along with you and sharing what we do! Earn stickers and print certificates for completing each week. 3. No Time for Flashcards is back with their 3rd Annual Summer Reading Challenge - to participate simply keep track of the books your child reads (or you read together) from June 4th thru August 26th and fill out and submit the quick form weekly to be entered for a $50 Amazon gift card at the end of the challenge. Last year participants read a total of 20,000+ books! This year the goal is 25,000 - let's do it! 4. 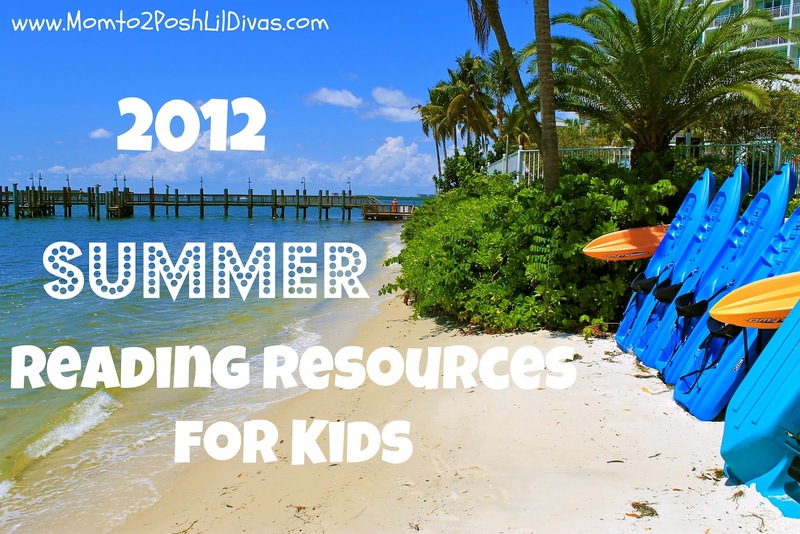 Scholastic's Summer Challenge is a great FREE online resource! Kids log minutes read to earn rewards and read for the World Record. They have lots of great info, lists for different age ranges and even challenge books if your child is up for it. Scholastic is even offering a NEW Summer Reading Timer App which is FREE. 5. Sylvan's Book Adventure is another fun & free way to motivate kids to read. Kid's find a book from the list, take a quiz and ear prizes for their reading success. In the Parent's Place parents can monitor their child's reading progress, track and view their quiz results and even approve prize selection. 6. Half Price Books has their Feed Your Brain Summer Reading Challenge for kids 14yrs. and younger. To participate kids must read (or be read aloud to) for 15 minutes a day for a month. Once they have reached their 300 minute goal, submit the reading log to ear $5 HPB Back-to-School Bucks for the month. Added Bonus - one Top Reader for each age group will be awarded a prize of a $20 HPB Gift Card each month. 7. To participate in Barnes & Noble's Summer Reading Program kids have to read 8 books, record/log them in their Imagination's Destination Reading Journal and turn it in at your local Barnes & Noble store between May 22nd and September 4th to earn a FREE book from the list printed on the back of the journal. 8. Sign-up for the FREE six-week iVillage PBS Kids Summer Reading Community Challenge and get daily e-mails with literacy-building tips and activities from experts at PBS Kids & Scholastic. 9. 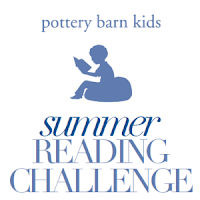 The Pottery Barn Kids Summer Reading Challenge runs through August 22nd. To participate read all the award-winning books one one of the two lists, track your progress and then visit your local store to receive your FREE book. 10. Use the Chuck E. Cheese Reading Rewards Calendar to document 2 weeks worth of books read and earn 10 FREE tokens! 11. Pizza Hut has their Book It! 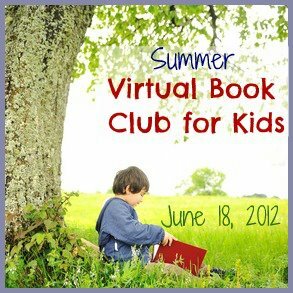 Summer Break Reading Challenge from June 15th through August 15th for kids in grades K-6th during the 2011-2012 school year. They also have lots of tips, activities and printables for parents and teachers too. 12. Check your local library to enroll in their Summer Reading Program. Ours is for the Broward County Library System and they have teamed up with the Miami Dolphins for a fabulous program which offers some great grand prizes aside from the weekly rewards. Check your local libraries for more details. For the half price books one I believe you must live near one together the gift card. Thanks for putting these all in one place for parents! Can't wait to sign up for them! We also can't wait for our LOVE BOOKS summer exchange to start... packages have already started to be sent! Great list! This is terrific. Thanks for sharing. We love summer reading too! I love this list and can't wait to use it with my reading charts! If anyone has struggling readers and want to help them get caught up this summer this might be something for you.